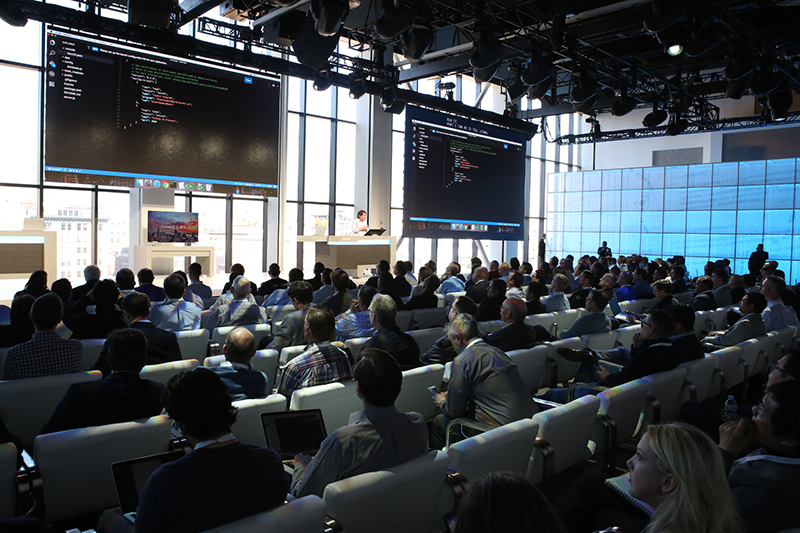 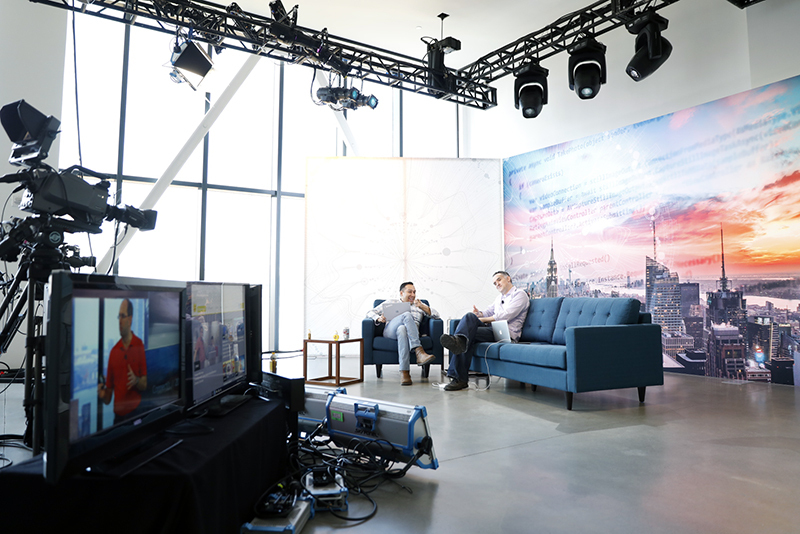 Microsoft hosted its premier event for worldwide developers at Spring Studios in New York City with a simultaneous live broadcast online reaching over a million viewers. 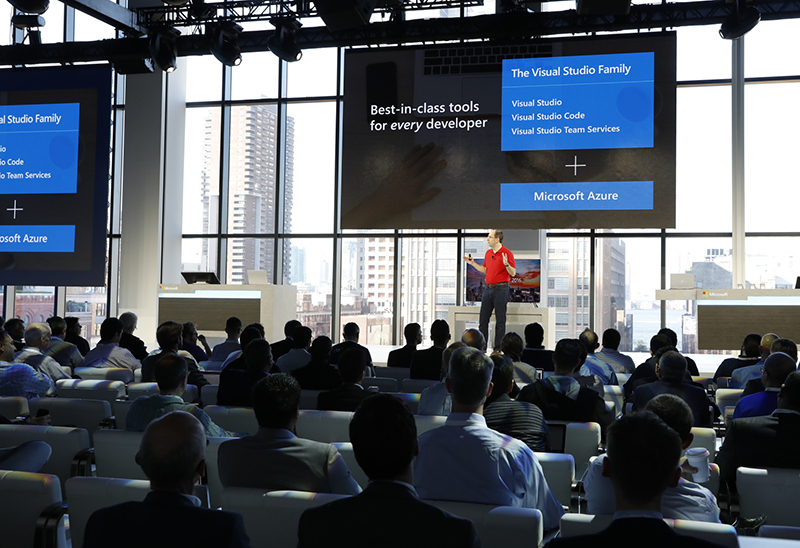 A platform for announcements about the future of its tools and services in the area of Application Innovation, Microsoft unveiled a series of products and partnerships that strengthen the company's Azure cloud platform for building intelligent, cross-platform apps and services. 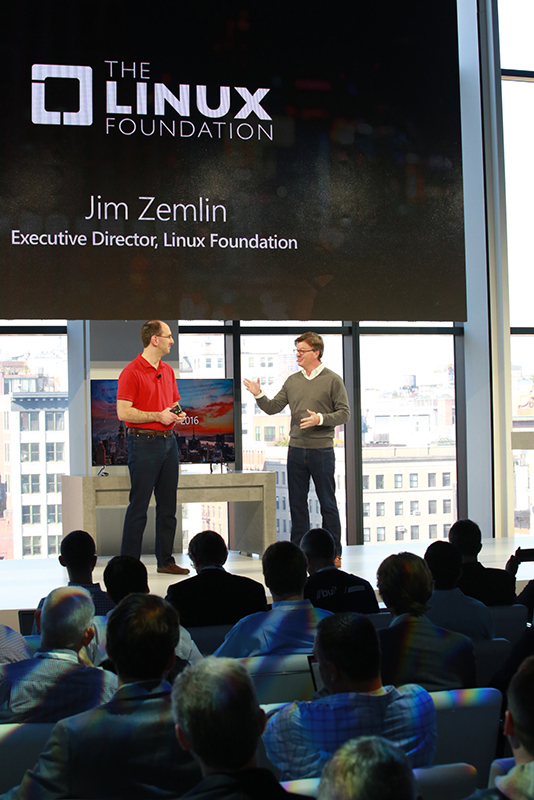 Led by Microsoft Cloud and Enterprise Group EVP Scott Guthrie, among the day’s many press-worthy announcements was Microsoft’s move to open source development by joining the Linux Foundation. 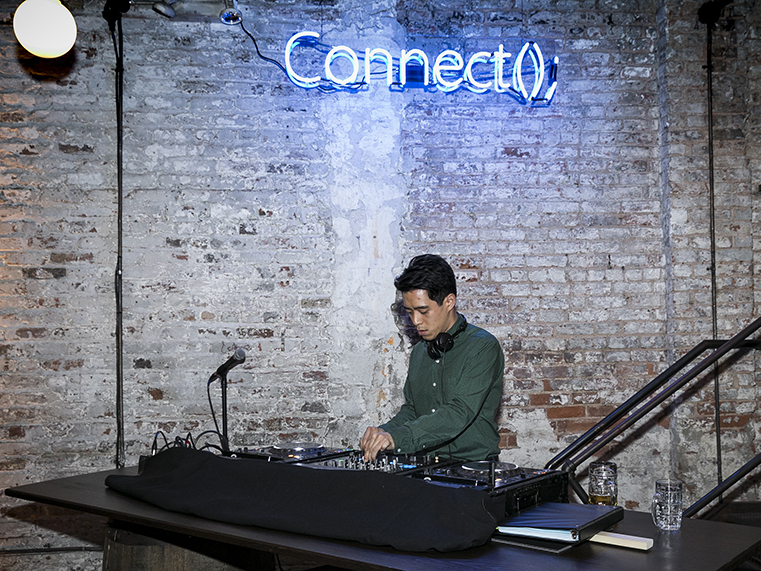 Spring Studios and Spring Place, a photo studio / private membership club and recent addition to NYC’s trendy Tribeca neighborhood, provided the perfect setting for an event dedicated to collaboration and intelligence. 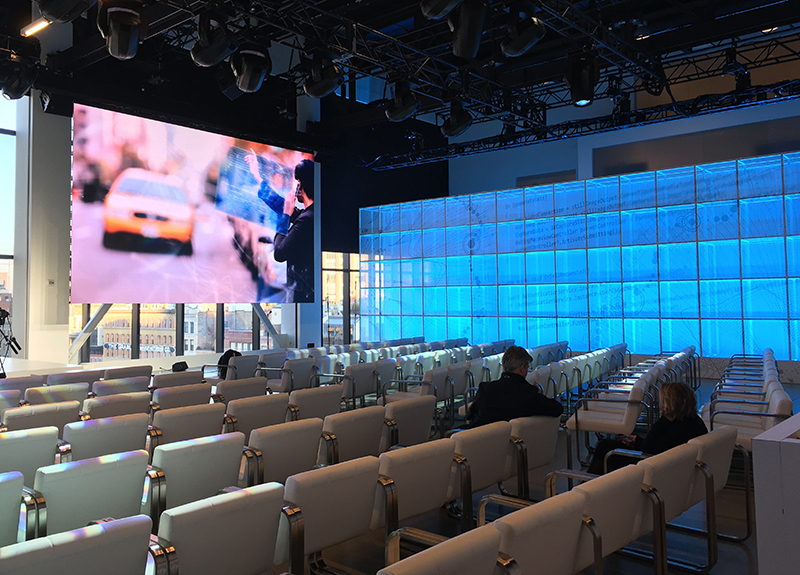 To balance the sun-filled space with the need to beautifully illustrate data-driven content, three large-scale, high-resolution LED screens were custom-built to fit within the existing window frames. 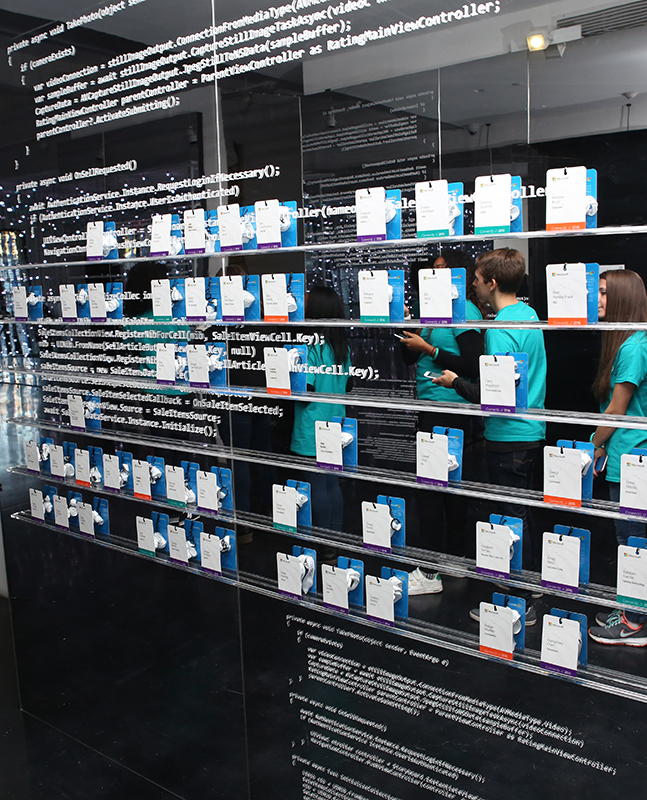 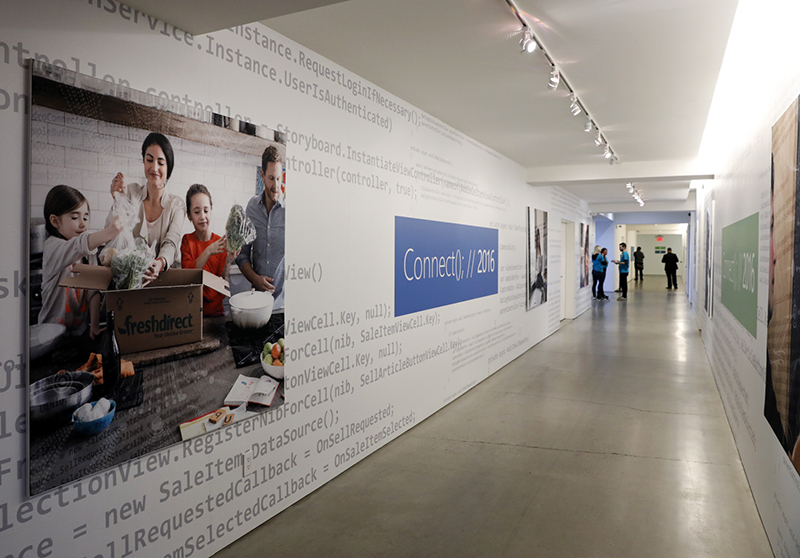 This view was then “extended” along the sides of the room with large-scale scrim-covered walls to help communicate Microsoft’s themes of openess and flexibility. 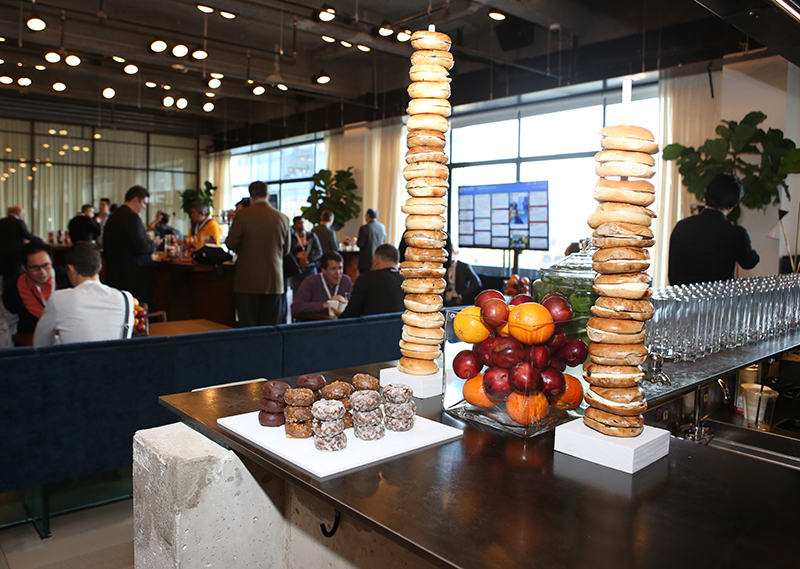 The visual aesthetic and brand messaging were integrated into every aspect of the event. 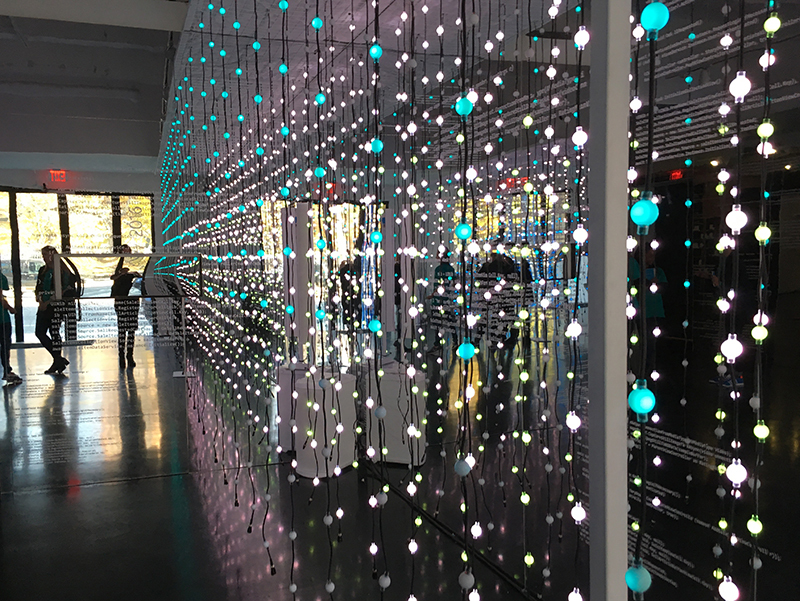 Guests received their first taste of technological innovation at registration, where they walked through an immersive animated LED light-strand “forest” before check in. 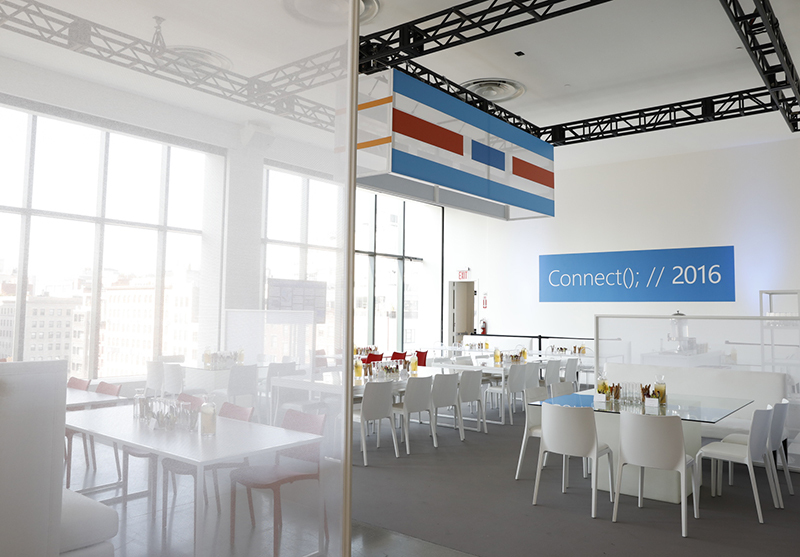 The lunch space décor included custom-built suspended scrim partitions, echoing the keynote walls, to create intimate restaurant-style spaces. 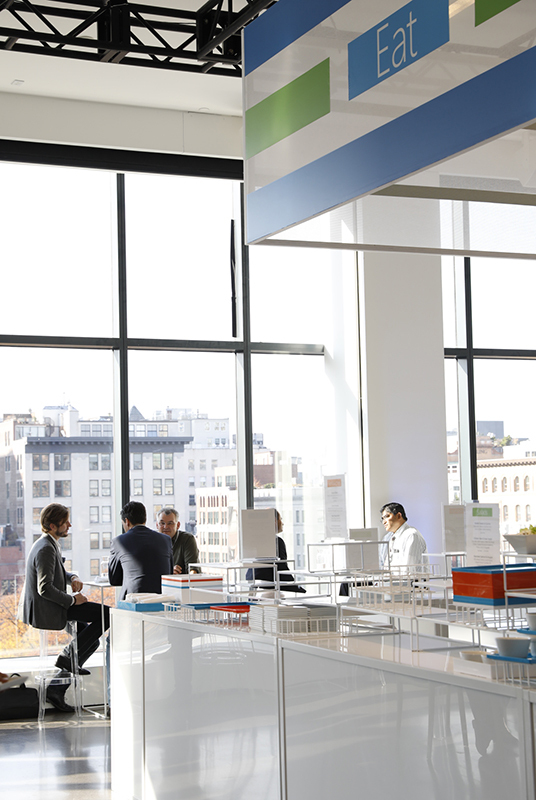 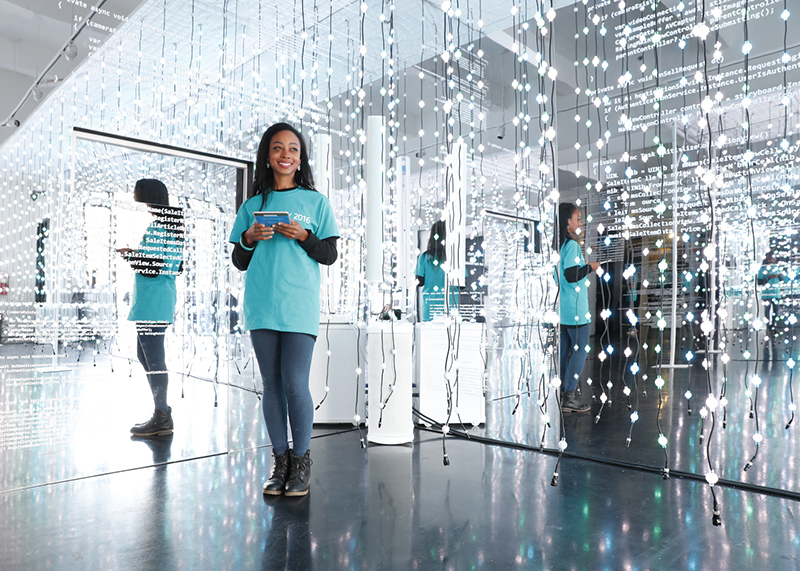 Bursts of color brought Microsoft‘s brand to life against the clean white surfaces. 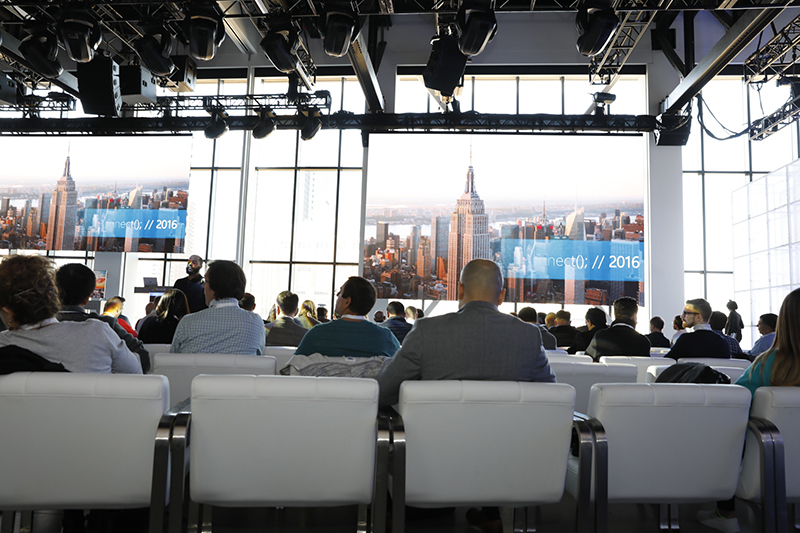 Afternoon breakout sessions offered custom content tracked to attendees’ varied interests, and customer images displayed throughout the venue showcased real-life applications of their products. 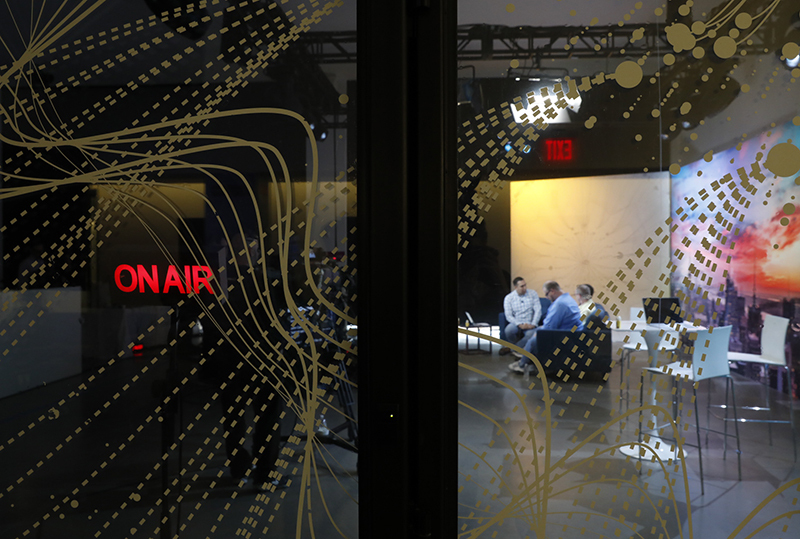 Every element of this program, from registration, breakfast and keynote to lunch and evening cocktails, was custom-designed to communicate exacting brand messaging and to deliver a high-touch guest experience. 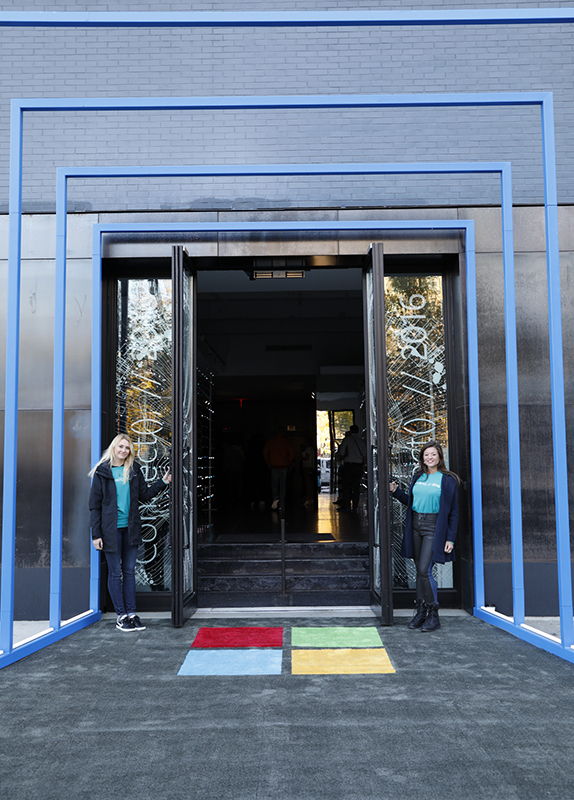 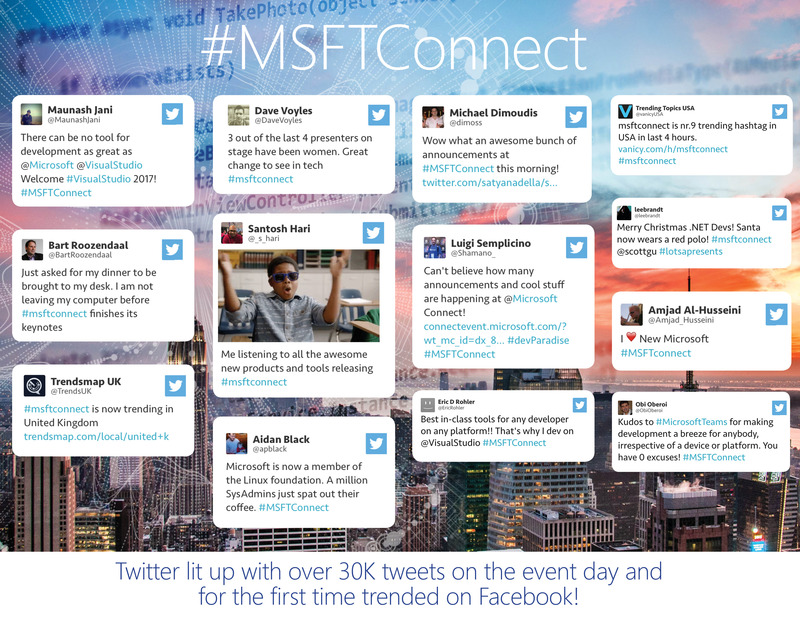 Empire is proud to collaborate with Microsoft to create and execute this top-tier business communication event.